Dr. Hillary Mabeya has been operating the Gynocare Fistula Center out of a renovated rental home since 2011. 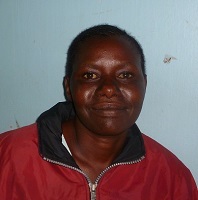 His clinic performs more fistula repairs than any other clinic in Kenya, having treated 1,500 women in just four years. But with only 24 beds available and no room to grow, there is not enough current space to treat every woman in need of help. 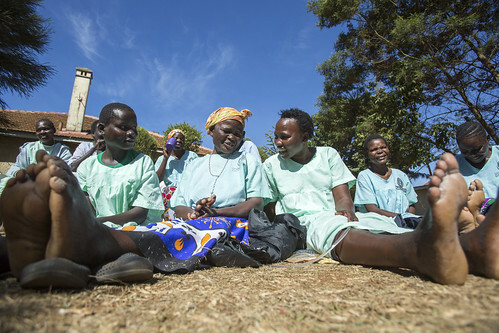 Since 2011, the Gynocare Fistula Center has provided obstetric fistula surgeries to women who are suffering and, in most cases, cannot afford to pay for treatment. Dr. Hillary Mabeya, a surgeon who has dedicated his life to treating fistula, constructed the center in a run-down rental home. His colleagues thought he was a little bit crazy to take on such an ambitious project, but today his facility performs more fistula repairs than any other clinic in Kenya, having treated 1,500 women in just four years. 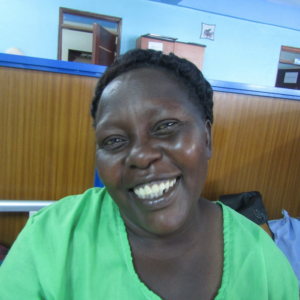 Dr. Mabeya is recognized as one of the top fistula surgeons and trainers in Kenya. Yet his ability to help train the next generation of fistula surgeons is hindered by space constraints in his current facility. His current operating room is in the former kitchen of this renovated rental home, where the former fireplace is still visible. The new hospital will become a true center of excellence for training, with properly designed and equipped operating rooms with space for trainees to observe and hone their new skills. Dr. Hillary Mabeya is the founder and lead surgeon at Gynocare Fistula Center, a small, private hospital in western Kenya. While the center provides a variety of reproductive health services, healing women with fistula is Dr. Mabeya’s true passion in life. Since becoming the first specialized fistula surgeon in the region, he has healed over 1,500 women with fistula. 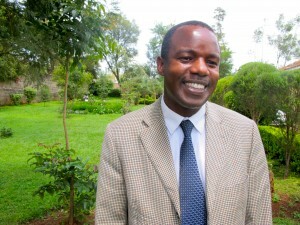 Dr. Mabeya originally grew up in southwestern Kenya and was the fourth child of eight. As a young boy, he was in and out of the hospital with life-threatening complications from malaria, and was inspired to go into medicine after seeing the need for doctors firsthand. He studied hard in school and eventually earned a university scholarship to study medicine. He first learned about obstetric fistula in 1999 while stationed as a medical officer in West Pokot, Kenya. Women in this particular area faced a number of challenges, but the prevalence of fistula touched him the most. After seeing the desperate need for specialized care, Dr. Mabeya made the decision to go back to school to specialize in gynecology. After completing his Masters and Ph.D. in obstetrics and gynecology and training as a fistula surgeon, Dr. Mabeya returned to western Kenya. Although many of his colleagues thought he was crazy, he bought an old, dilapidated house with the dream of turning it into a women’s health center. Armed with a little elbow grease, ingenuity and dogged determination, that dream was realized when Gynocare Fistula Center opened its doors in 2011. Since then, it has grown to become the most productive fistula repair facility in the country! Previously, Dr. Mabeya served as the Chairman for the Division of Reproductive Health at Moi Teaching and Referral Hospital, as the District Medical Officer of Health, West Pokot District, Kenya, and the District Obstetrician/Gynecologist, Kajiado District, Kenya. He also served at the Hamlin Fistula Hospital in Addis Ababa, Ethiopia, and as a fistula surgeon for Africa Medical Research Foundation (AMREF). His professional memberships include the Kenya Medical Association (KMA), the Kenya Medical Practitioners and Dentists Board (KMPDB), Kenya Obstetrics and Gynecological Society (KOGS), and the East, Central Southern Africa Obstetric and Gynecological Society (ECSAOGS). Dr. Mabeya has provided numerous presentations on obstetric fistula in rural hospitals, HIV infected pregnant women, the social, economic, and cultural determinants of obstetric fistula, and surgical outcomes for obstetric fistula. He is also a lecturer and an obstetrician gynaecologist at Moi University School of Medicine in Eldoret, Kenya. Dr. Mabeya holds a MBChB in Medicine and Surgery and a MMED in Obstetrics and Gynecology from the University of Nairobi. He is also certified in reproductive research by the World Health Organization and served as a Fellow of HIV in Women at Brown University. 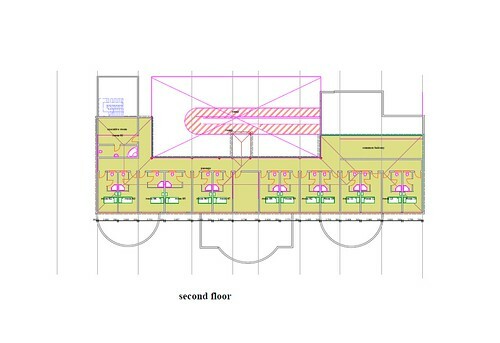 Double the number of patient beds available. There will be space for 50 beds for fistula patients in this three-floor facility, with room to grow, thus, enabling more women to receive treatment without having to wait. Space to train more fistula surgeons. Gynocare has already been certified by the International Federation of Gynecology and Obstetrics (FIGO) as an official training center. A formal patient counseling center. Many women who suffer from obstetric fistula have been left by their husbands and shunned by their communities, which can take a very serious emotional toll on a woman. Currently, Gynocare provides critical counseling support outside, beneath a tree. The new hospital will allow plenty of space for an indoor counseling facility. Provide treatment for paying patients. With an eye toward continuing to increase availability of free treatment for patients who cannot afford to pay for surgeries, Dr. Mabeya will offer maternity services to patients who can afford to pay; their payments will help to subsidize costs for non-paying clients. Gynocare has gone from a run-down rental home to top-performing fistula clinic, to the future Gynocare Fistula Hospital & Maternity Centre. Join our campaign on Twitter by following our campaign hashtag: #EndTheWait! Jacklyn is just 29 years old, but has faced enough heartbreak to last a lifetime. 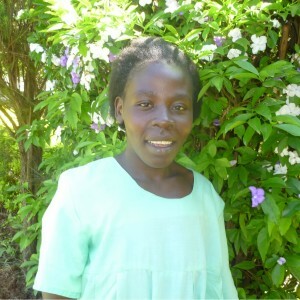 Born and raised in Kisii County in western Kenya, Jacklyn was raised by her older sister because their parents abandoned them when she was a small child. She was never able to go to school because she had to do odd jobs along with her older sister in order to have enough food to eat at the end of the day. 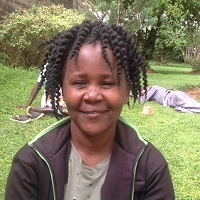 Margaret is 36 years old and from a very remote village in southwestern Kenya. In this area, child marriage and polygamy are very common. At 16 years old, Margaret’s parents arranged for her to become the third wife of a man more than three times her age. She tried to resist, but eventually gave in to the marriage due to pressure from her family and community. 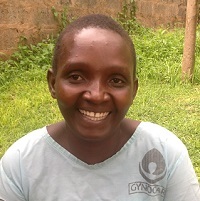 “When my husband saw the many health issues I had, he despised me, he called me names and always told me in the face that I was more than crippled.” She was left on her own and most of the time starving. She reached at a point that she could not withstand the mistreatment and she went back to her parents. After a few years her parents died. “I walk like a crippled woman, there is nothing that I own on this earth, I don’t have a husband, I don’t have a baby. My life is so empty.” She has said that her deepest desire has been to die a clean woman. 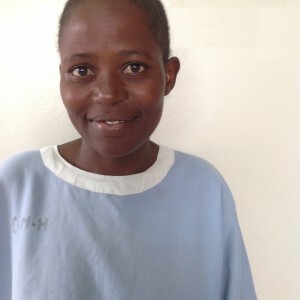 But at Gynocare, where she received fistula surgery through the Action on Fistula program, she is happy. Here, she feels loved and valued. She knows she has a family at Gynocare. 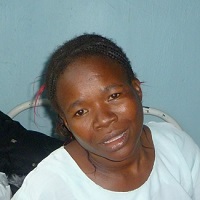 Felistas developed fistula at the age of 17, after delivering a stillborn baby via Cesarian section. Her husband left her because he could not stand her condition. 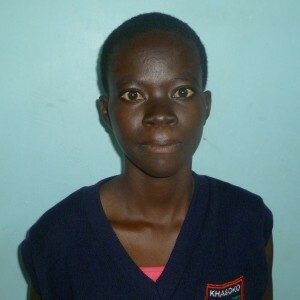 She suffered alone until learning one day that treatment was available through the Action on Fistula program. Pregnant at the age of 13, Sylvia labored for two days before delivering a stillborn baby. 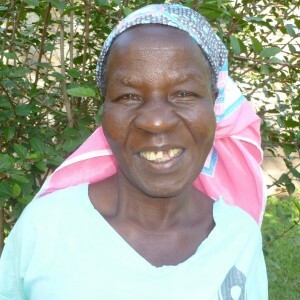 She developed obstetric fistula, which led to two decades of shame and sadness. Then one day, she heard a radio announcement that would change her life forever. “It was so painful to leave the hospital with the few clothes I had bought for my baby. It was painful to walk out of the gates empty handed [without a baby] and to worsen the matter, with the leaking of urine."